For many, accumulating funds for the children’s education is a savings goal that is often thought about, but seldom acted upon. There are numerous reasons why saving for college is an essential need. 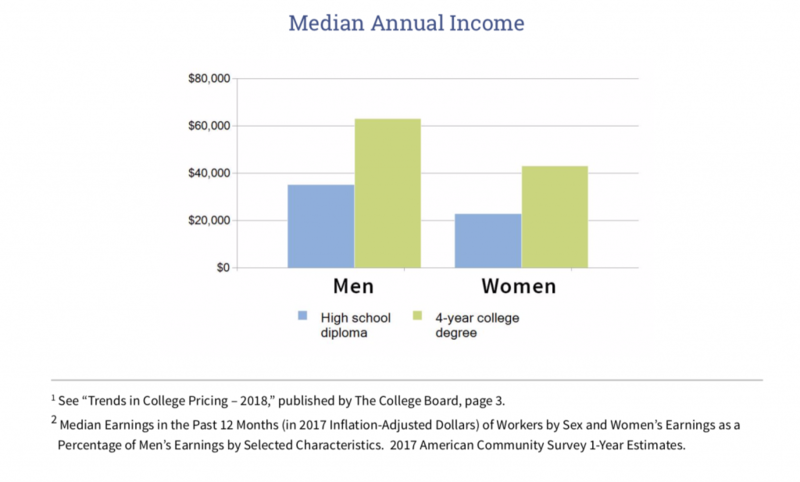 Economics: Statistically, the average worker with a 4-year college education earns far more than the average worker with only a high school diploma. Years of study: Four years of study may not be sufficient. In many professions, six or even eight years of study are required. What is a College Education Worth? College educated, full-time workers statistically enjoy a higher median income than those with less education. In a recent report on education and earnings,2 the Census Bureau found that those with four years of college could expect to have substantially higher annual earnings than high school graduates. What Does a College Education Cost? 1 Figures do not take inflation into account. 2 Annual costs are for the 2018-2019 academic year and include tuition, fees, and on-campus room and board. Books, transportation, and personal expenses are additional. 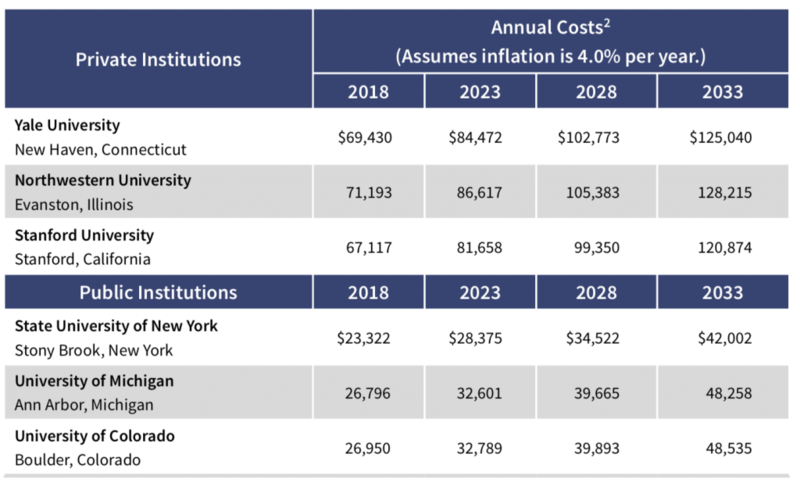 Costs for out-of-state students at public institutions are higher.